Thomas Jefferson – …And the Truth Shall Set You Free. 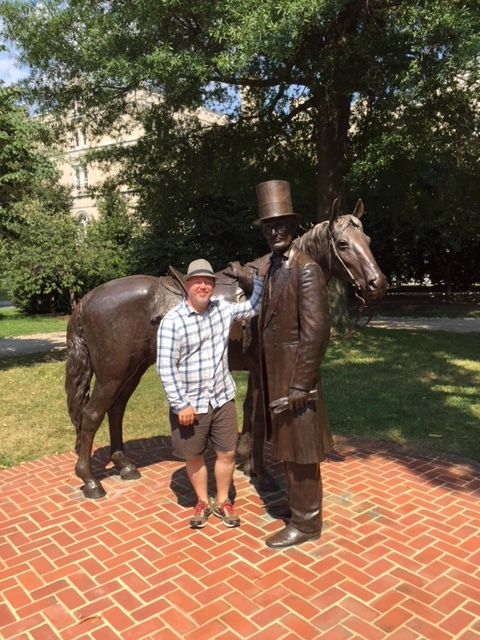 The Rebirth of Gallaudet University President: 2016-??? 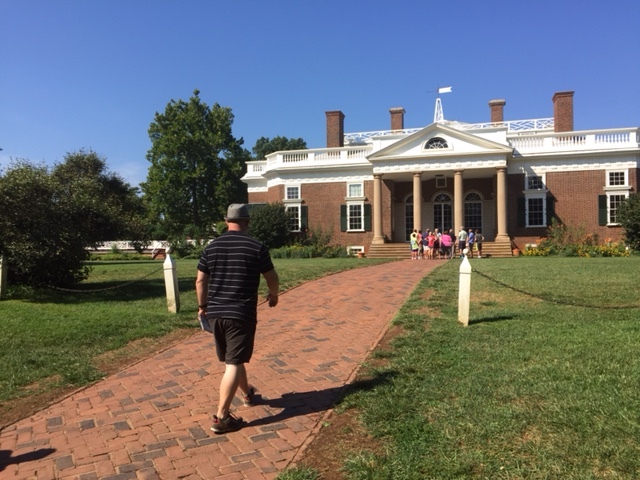 Walking up to Thomas Jefferson’s Home. The last three days has been a presidential journey with three most important presidents in American history—deep thinking questions the movement roots in the breathtaking change for Gallaudet newest’s 11th president. First, I visited Thomas Jefferson’s home in Monticello, Virginia, the same Jefferson holds as a well respected philosopher-king of the American democracy that no one can bestow him or better that way, no American philosopher has surpassed him. Then I visited Abraham Lincoln’s summer cottage where he stayed there for 13 months during his presidency, he loved to write in his private chamber, but there is a story that must be read—Lincoln as a boy, he helped his father with farm chores. Be sure to visit Lincoln’s cottage! When he was home, his mother encouraged him to read and write. One day there was a huge rainstorm and Abe watched the field of potatoes being washed away by the flood but his father started to plant potatoes all over again. Fast-forwarded, President Lincoln experienced the loss of Americans during the Civil War, and he moved on to rebuild the nation. The same time that he as a president to be grand patron for National Deaf-Mute College known as Gallaudet University needs Gallaudet president to rebuild Gallaudet University today and in the future. The grand patron waits for the change. 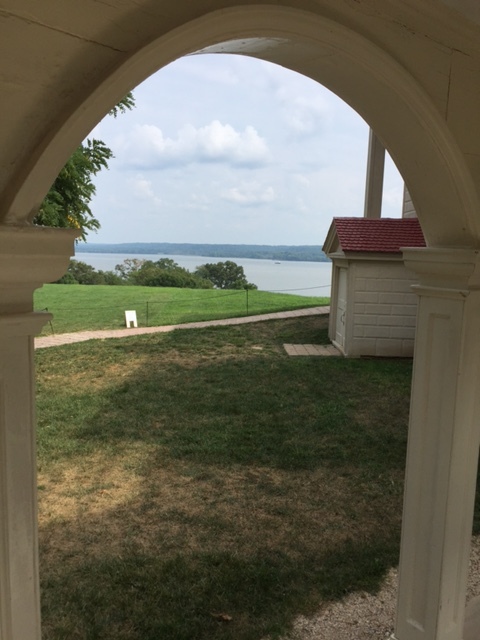 Finally, the third president I visited—Mount Vernon, the home of George Washington. The house on the Potomac River is stunning. In his first Inaugural address, Washington hoped in his own words, “a reverence for the characteristic rights of freeman, and a regard for public harmony, will sufficiently influence your deliberations on the question” What does it mean? Washington meant is that it is our human right to live without any obstacle whatsoever. He used the term reverence to imply that this human right is to be respected to the fullest. Will the next Gallaudet president understand that power dynamics of human rights on the campus? -Do you believe that the lack of mention of the 1988 Deaf President Now was intentional or not? -Could one of those candidates have enough experience in university setting—be the work of an educated and diligent and creative scholar? -Like Washington and Jefferson, they had difficulties with public speaking, what is the most difficult impression do you think one of those candidates are qualified on her leadership through public speaking? Let me wrap this up. Whoever the candidate have been chosen, Gallaudet University is obviously wants to turn into an effective document, drafted to expose the wishes of Gallaudet alumni and Deaf community at least the governing body of Deaf people and is still regarded as one of the most important documents to American history today. What my opinion even as an alumni matters the most to me, I write of my need and would like to see Gallaudet improve higher education needs. Since 1988, I had seen stories from Deaf people I meet whom was there if not, had became my stories. NBC’s TODAY’s Health News made a huge headline few days ago that says “Defective cochlear implants shocked kids—even though company had been warned” (please see link below) about Advanced Bionics, the second largest manufacturer of cochlear implants (CI) acknowledging that they implanted defective devices in children and adults for Y-E-A-R-S even though many devices had failed, that is rare to see like this! The media has been hiding the truth for years about marketing cochlear implants to parents of Deaf newborns that the lifestyle is wonderful. You see, our American society is far from shy when it comes to realizing that those who are cochlear implant survivors DO NOT hear the way hearing people normally do. They do it with an ugly reason “we must fight against their being Deaf” and that is very much clear message that it is an implicit act of discrimination against Deaf people everywhere. Being Deaf is incurable, irreparable and irreversible. Once you were tested Deaf, it is a permanent thing! By the way, it was never an amazing medical device at all. It was more like a punishment device for Deaf children. People who work for Advanced Bionics are chosen for ignorance and feeble mindedness. For example, a dear friend told me a story few years ago when he met a guy who had a terrible story about CI that he had a serious illness that required a CAT scan on his brain but since he had a CI, they removed it with a promise of a new replacement. After his surgery recovery, he got new CI, he could not recognize his mother’s voice anymore and thought she was another person. What? Of course, sounds heard through CI are synthetical and they are not biological enough (hearing enough) They told him that his new CI was better than the other but his mother never got better. He and his mother became strangers to each other. He could hardly stand her mother speaking. He said she sounds horrible. Stories like his must be told to every corner of the world. What we really need from CI folks are stories as sidewise arguments in literature that CI is a huge hoax. Since Gallaudet University has a CI service, we must protest and we must not silent about it. Abraham Lincoln: It is a sin to be silent when it is your duty to protest. Silence is likely to occur numerous times throughout the Advanced Bionics process; it will mean that a great deal of suffering is inevitable. We must not be silent, is it because we did not know which way to go. It is a kind of gamesmanship in which we spar silently to see who can hold out longest without making noises. I am safely assuming that Gallaudet University—an university of our own will silent about Advanced Bionics and that is a shame! Such silence can be deafening roar unless a leader breaks in and provides us the relief we need. Alan Hurwitz cannot do this job and Gallaudet would not allow him. What a catch-22 situation! When Americans won the Revolutionary War, they became determined for learning. Ben Franklin founded Pennsylvania State University. Thomas Jefferson set up the University of Virginia. Abe Lincoln signed the charter that made Gallaudet University for Deaf people. Are we the Deaf set up for their medical arrogance that practices cochlear implant at the University? The public needs to look for the truth in a very big way. It helps parents of Deaf babies draw the line between perception, which could involve gruesome struggles and reality. But what precisely are the realities of having a goal to have cochlear implanted babies? More to the point, what is life like for those cochlear implanted babies and what options exist for parents who want to give their babies a lot of work than they realize. It takes years and years to prep even for 20 second near native pronunciation scene; again, it is the share of the hoax. There are stories about their struggles within our society that is generally hostile toward their practice. I firmly believe that we are open to hearing people but we were often meted out by something unknown and unfamiliar—the world of sounds. We are unable to produce these sounds spontaneously so we sound “funny” to them in the same manner that their skills in American Sign Language (ASL), for example, look “funny to us.” Until the day we practice the Martha’s Vineyard Island communication system in which signs and words were never merged into a single discourse, we will have healthy objectives and goals. Telling Deaf people to come to hearing people is like telling Native Americans to come to White people. When the Deaf gather together, economics will be used to break them up. Language and the culture of the Deaf, for example, need to be violated by introducing cochlear implants. That is breach without question. We need to focus on literature that reflects the diverse ways in which our society currently defines and measures Audism. The extant literature generally treats the definition of Audism as problematic. That is widespread consensus that legalistic definitions of being Deaf and ASL are as unacceptable and inadequate as they appear so. Thus, the parents and guardians are advised if their babies should fail the federally mandatory hearing screening tests, and the Deaf babies should be transferred to some social services for counseling and cochlear implants, that is becoming the problem. The big pictures come in with this massive problem. The administration at Gallaudet University allows so many flyers and images about encouraging cochlear implants on the “advertising” board. It is covered up and I had witnessed the “yes-man” atmosphere there. They accept information with questions that confirm the same information. Damn it. It is not about literacy. It is about liberty and democracy. It is “human-doing” to assert that CI is an option and to waste so much education for Deaf children whose mind is wired as Deaf mind from the very breath of life. CI is a permanent token of mourning that being Deaf is inevitable. 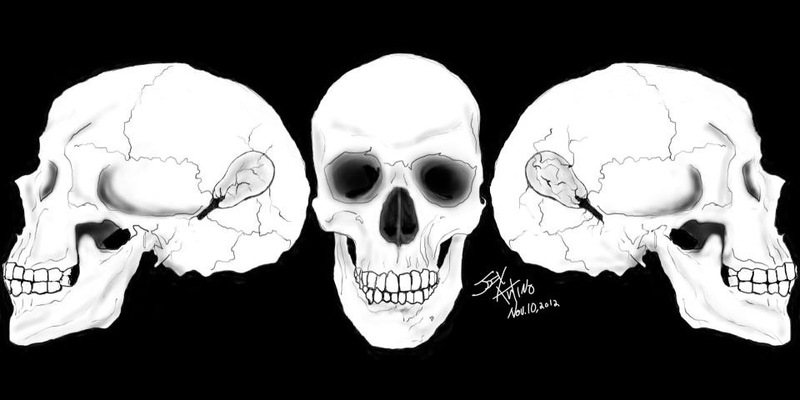 Why are we the Deaf are different? In 2010, there was a French study about cochlear implants that showed ten percent (10%) of complications and let me copy and paste from the link you can see below—“The study included 434 children in France who were followed for an average of 5.5 years after they underwent cochlear implantation. Complications were classified as early (within eight days after surgery) or delayed (more than eight days after surgery), and minor or major (requiring hospital re-admission and/or extended hospital stay) Forty-three patients (9.9 percent) experienced complications, including 28 with delayed complications, with an average delay of 2.2 years. Of those 43 patients, 13 (30.2 percent) required cochlear re-implantation. See that?! 30.2%! It was an EPIC FAILURE and that was in 2010. Now four years later, I bet you that the stats are higher than reported in the media world. The power of media without giving you all sides of an issue is dangerous and wrong and causes extreme harm. It can come from television that cochlear implants are amazing medical devices before parents of Deaf babies has time to learn a wide and have knowledge of life. Have the Audists lost the ability to disagree that being Deaf is sinful? What about respecting Deaf culture with civility and respect? Of course, Audists finds a way to lose civility and show lack of respect to have only increase more threatening our Deaf nature of democracy. If the society is so concerned about fixing Deaf children, then it is time to focus on the big criminals: Cochlear implant makers, cochlear implant companies, and investors who make a lot of money off cochlear implants, they are the liars of the society. Deaf people have every right to seek their quest for their freedom and safer society. Let’s repeal Advanced Bionics and its cousins and stand up to fight for our own freedom from the mad fraud companies across the country and international waters. Shut them down for good! Make sure you sign the petition underwritten by Audism Free America (AFA) before you finish reading this.